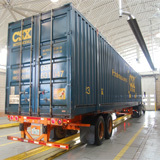 Find out who we are and what we do for the New York Region. Please join us at the second in a series of four community planning workshops to help plan the future of Route 59. Shailen P. Bhatt, presented on “How New Mobility Technologies are Transforming the Movement of People, Data, and Freight.” You can view the presentation using the link below. NYMTC’s 2019 Annual Report is now available! Have an Idea or Question about Transportation Planning? Fill us in! 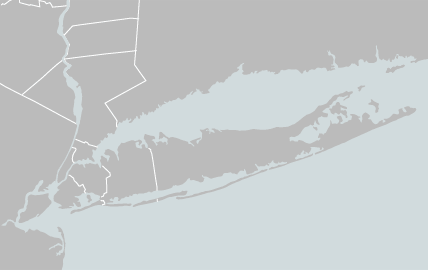 that is the Metropolitan Planning Organization for New York City, Long Island and the lower Hudson Valley. Our 10-county region, which includes the 5 boroughs of NYC, plus Nassau, Suffolk, Westchester, Putnam and Rockland counties, is home to more than 12 million people. NYMTC’s Transportation Information Gateway (TIG) is an interactive area where you can locate, visualize, and download data using maps, tables, and charts. The New York Metropolitan Transportation Council (NYMTC) announces a public comment period for proposed amendments to the FFY 2017-2021 TIP Read more? The New York Metropolitan Transportation Council (NYMTC) announces a public review period for its revised Public Involvement Plan (PIP). Read more? 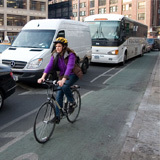 New York City Transportation Commissioner Polly Trottenberg was confirmed as Co-Chair of the New York Metropolitan Transportation Council (NYMTC) at its 2019 Annual Meeting. The New York Metropolitan Transportation Council (NYMTC) hosted a quarterly meeting of its Metropolitan Mobility Network on January 30, 2019 at its offices in Lower Manhattan. The New York Metropolitan Transportation Council’s (NYMTC) Mid-Hudson South Transportation Coordinating Committee held a Lower Hudson Valley Mobility Advisory Forum at the Westchester County Center in White Plains on Tuesday, December 11, 2018. NYMTC published its FFY 2018 Annual Listing of Obligated Transportation Improvement Projects. The listing identifies project phases that are obligated (authorized for federal funding reimbursement) and are a critical milestone in the process for project implementation. Federal planning regulations require that NYMTC publish a listing of obligated projects at the end of each federal fiscal year, which began for FFY 2018 on October 1, 2017 and ended September 30, 2018. As part of the New York Metropolitan Transportation Council’s (NYMTC’s) Regional Trends Series, NYMTC hosted a presentation by Caleb Stratton, Chief Resiliency Officer for the City of Hoboken. A delegation from the People’s Republic of China, Henan Province, visited NYMTC on December 3, 2018. As a step toward a more inclusive planning process, our Language Access Program provides translation services for people who are not fluent in English. Launched April 1st, the program is a further enhancement to NYMTC's public involvement efforts. 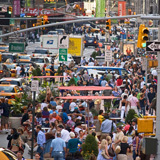 Under federal regulations, NYMTC produces three required planning products and two analyses that guide the region’s transportation planning activities and ensure compliance with clean air laws. NYMTC provides a collaborative planning forum to address transportation planning activities from a regional perspective. NYMTC collects, analyzes and provides critical data related to mobility, infrastructure, financing, safety and other essential planning topics. NYMTC’s public involvement efforts strive to bring varied stakeholders into the planning process in dynamic and meaningful ways. Get Involved! Our Language Access Program is designed to help non-English speakers engage in the transportation planning process. To translate documents and pdfs, upload the document to the Google Translation website – translate.google.com – then select the language translation pair and select the Translate button. Note: Some of the original formatting might be lost after translation.